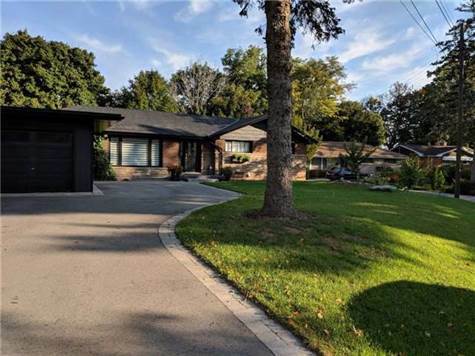 SOLD $985,000 Stunning Detached Bungalow In Burlington! "Backing Into Hidden Valley Park!" Newly Renovated, Pinterest Worthy, Open Concept, Entertainers Dream Home Backing Into Hidden Valley Park! Oversized 91 By 290-Foot Lot With Full Walk Out Basement Overlooks Tree Top Canopy! One-Bedroom Basement Apartment With Completely Separate Entrance Is The Perfect Nanny Suit Or Mortgage Helper! Large Kitchen With Functional Layout And Over-Sized Island! Gorgeous Cathedral Ceiling Sunroom With Views Of Your 200 Ft Deep Private Forest!